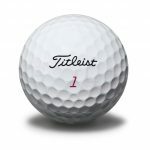 Trying to choose a golf ball for your game can be completely overwhelming because there are so many options to choose from. Don’t panic! The price of the golf ball to you? Is green side spin relevant to you? How important is the durability of the ball to you? Distance you normally hit your driver? Do you prefer a softer or firmer feel? We realize it isn’t easy to afford every piece of golf equipment necessary. This is why WGS offers a wide variety of quality golf bags. 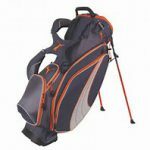 You can find an outstanding golf bag while saving money at the same time!